Angela P. Doughty, CIPP-US - Ward and Smith, P.A. Angela is a North Carolina State Bar Board Specialist in Trademark Law and a Certified Information Privacy Professional- United States (CIPP/US) that serves as the firm's Director of Legal Process Management. She oversees several initiatives to optimize and increase the efficiency of the firm's legal services. In addition to adopting and executing practices, such as Legal Lean Sigma, Angela is responsible for moving the firm through the implementation of process improvement, design methodologies, and innovative technology. 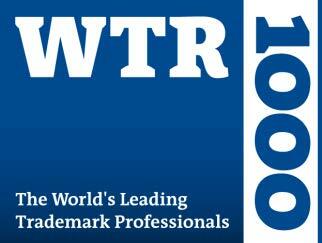 In her IP practice, Angela routinely counsels and assists clients with identifying, protecting, enforcing, and managing their U.S. and international IP rights; trademark and service mark selection, clearance, and registration; opposition and cancellation proceedings before the U.S. Patent and Trademark Office; Internet and domain law issues; software development and licensing transactions; and negotiating the acquisition, licensing, and transfer of intellectual property rights. She has extensive experience with strategic planning and management of IP portfolios, including IP audits to assist clients with the identification of intellectual property assets and the related risks and opportunities. In her Privacy and Data Security practice, Angela advises clients on all aspects of privacy and security regulations including evaluating and implementing compliance programs, responding to data breaches and security incidents, drafting privacy notices and policies, and negotiating consumer and vendor contracts. Her practice encompasses counsel on a wide variety of state and federal regulations such as Health Insurance Portability Act (HIPAA), Health Information Technology for Economic and Clinical Health (HITECH), Gramm-Leach-Bliley Act, the Fair Credit Reporting Action (FCRA), CAN-SPAM, Children’s Online Privacy Protection Rule (COPPA), General Data Protection Regulation (GDPR), and other international data transfer mechanisms. Angela is rated by her peers as "preeminent" in her respective areas of law and serves on the executive board of the Intellectual Property Law Section of the North Carolina Bar Association and on the North Carolina State Bar Board of Specialization Trademark Law Committee. She has White Belt and Yellow Belt certifications in Legal Lean Sigma® and Project Management from the Legal Lean Sigma Institute. 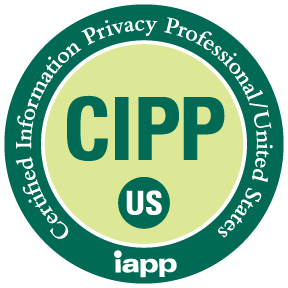 She earned her CIPP/US certification from the ANSI accredited International Association of Privacy Professionals. J.D., Campbell Law School, 2005. Publishing Editor, Campbell Law Observer. Creation of CAN-SPAM and Telephone Consumer Protection Action compliant direct marketing initiative policy for one of the top national screening and compliance tracking companies in the U.S. Chair of the North Carolina Bar Association's Intellectual Property Law Section. The motto that most inspires me and exemplifies my motivation is Pay It Forward. The idea that helping others is not about a reciprocal benefit, but the hope that the recipient, when able, will in turn help someone else that needs it is something I strive to instill in my daughter every day. One surprising thing people don't know about me is that I'm an introvert. This is surprising to those that know me because I am not shy with my opinions, often speak to large groups, serve in several leadership roles, and can have hard conversations without mincing words. My introversion means I prefer to listen rather than speak, observe rather than act, and avoid the limelight which is contrary to the typical attorney personality profile. This personality trait often allows me to consider resolutions and opportunities others may miss and work more collaboratively with a diverse group. My favorite fictional character is the Cheshire Cat with his mischievous grin and perplexing yet amusing commentary. The Cheshire Cat engages Alice in ways that are, to Alice, annoying or baffling but after reflection allow her to view her situation through alternate paradigms. We all need a Cheshire Cat in our lives to help us view the world from different perspectives and appreciate that most everyone is mad here; you may notice that I'm not always all there myself. GDPR: Everybody's Doing It—Shouldn't You?